All Manner of domestic drainage services covered. All manner of commercial drainage services covered. Whenever you need us 24/7 365 days a year. No matter the job, we have the experience to fix it. Call 01245 269002 for drain services in Chelmsford, Essex and Hertfordshire. Our service centre is manned 24hrs a day, 365 days a year. We have over 30 years experience in drainage services for blocked drains, repairs & CCTV drain surveys. Find out more about us, read our testimonials or contact us. We provide a wide range of drainage services in the Essex and Hertfordshire areas including; emergency response drain clearances, blocked drain repairs, electro-mechanical drain clearance, high-pressure water jetting, CCTV drain surveys, S.O.N.D. and trace, drain excavation and drain repair, GRP lining, pipe bursting and re-rounding, planned maintenance of petrol interceptors, grease traps, catch pits, gully maintenance and replenishment, emptying of septic tanks and pumping chambers and lorry mounted vacuum tanker works. Drainage & Hygiene Services Ltd and Clean Drain offer a 2 hour emergency response 24 hours a day, 7 days a week 365 days of the year in the Essex & Hertfordshire areas. Our professional, courteous and highly qualified Essex and Hertfordshire call centre staff and engineers will ascertain your exact needs and have an engineer on their way to you within 2 hours of your call. All engineers employed by Drainage & Hygiene Services Ltd and Clean Drain are subject to regular Criminal Record Bureau Checks (CRB Checks). We feel that it is important not only to comply with legislation for working with vulnerable and young people in schools and on behalf of housing associations but also for peace of mind when inviting strangers into your home. Whatever the problem, you can rest assured that We will quickly and efficiently rectify the problem or provide a temporary solution if more in-depth drainage works are required. A free of charge quotation and a detailed explanation are always given for any necessary drain repairs, with written reports available on request. As such, you are always in control of any expenditure and are never left in any doubt about the status of any works. We are an independent drain repair company providing repairs for blocked drains in Chelmsford and surrounding areas. We serve the Essex & Hertfordshire areas and are not tied to the inflexible pricing structures of the large, national drainage companies. Therefore we are not encumbered with the burden of incorporating high royalty fees in our pricing. You can be sure that whatever the problem, it will be dealt with in the most cost effective means available, we will never try to up-sell un-necessary services. 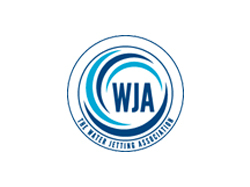 Drainage & Hygiene Services Ltd and Clean Drain are accredited to SAFE Contractor, Construction Line, the Water Jetting Association, ISO 9002 and Investors in People, whose purpose is to regularly assess us for Health and Safety compliance, ensure our workforce is highly trained and competent in the work we do and ensure the high quality of our drain repair services. 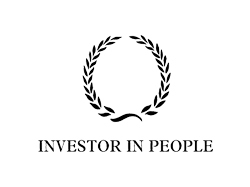 Our workforce also hold various certification including Waste Carriers Licence, 'O' Licence, Confined Spaces Certification, First Aid, Fire Fighting, Asbestos Awareness and Manual Handling to name but a few. 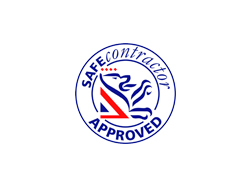 We are fully compliant with Health and Safety Legislation and in addition are audited by external companies on an annual basis. Drainage & Hygiene Services Ltd and Clean Drain operate a Training Management system in collaboration with Train to Gain and the Construction Industry Training Board to ensure our workforce is fully trained and competent in all aspects of drain unblocking, drain repairs and blocked drains. 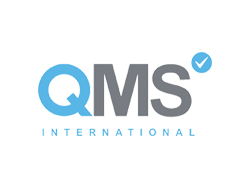 We've adopteded a Quality Management and Assurance system in collaboration with QMS International Plc. We are able to send and receive communications including reports, orders and invoices by phone, fax, post and electronically. Method statements, risk assessments, safe systems of work and schedules will be produced and agreed for all drainage works carried out. 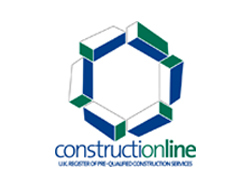 Site packs are produced for large scale works and distributed to all necessary parties. Based in Takeley, Essex we are happy to take enquiries for blocked drains and drainage services from Essex & Hertfordshire, including all these areas. We are based in Takeley and offer drain repairs for blocked drains in Takeley and throughout Essex & Hertfordshire. We have been providing drainage services in Essex & Hertfordshire since 1977 and are happy to carry out all jobs from a blocked toilet or sink to CCTV drain surveys, drain root removal and clearing blocked drains Takeley. We specialise in drain cleaning and clearance for all types of drainage systems, both residential and commercial. Call The Drainage Company on 01245 269002 for all blocked drains and CCTV drain surveys Takeley, Essex and Hertfordshire.